The New Cambridge Shakespeare appeals to students worldwide for its up-to-date scholarship and emphasis on performance. The series features line-by-line commentaries and textual notes on the plays and poems. Introductions are regularly refreshed with accounts of new critical, stage and screen interpretations. 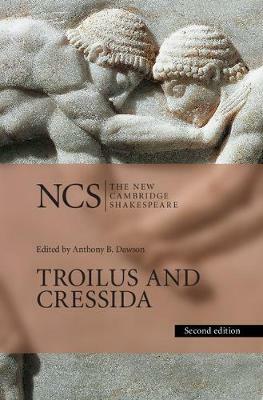 This second edition of Troilus and Cressida, a play that has long been considered difficult but is now popular both on the stage and in criticism, features an expanded and updated introduction and reading list. The first edition has been praised for its careful rethinking of the text, excellent annotation, lively attention to performance and extensive coverage of the play's major concerns. This updated edition retains these characteristics. In addition, Gretchen Minton and Anthony B. Dawson have provided a new account of the critical and theatrical treatment of Troilus and Cressida over the last fifteen years, showing how modern audiences have become attuned to the play's sardonic undercutting of both the medieval romance of the title characters and the Homeric tale of the Trojan War. Recent performance history is placed against a broader background of social change, including shifting attitudes towards war, political decision-making, gender politics, and fear of disease and contagion.